Thank you for your interest in Nostalgiaville. 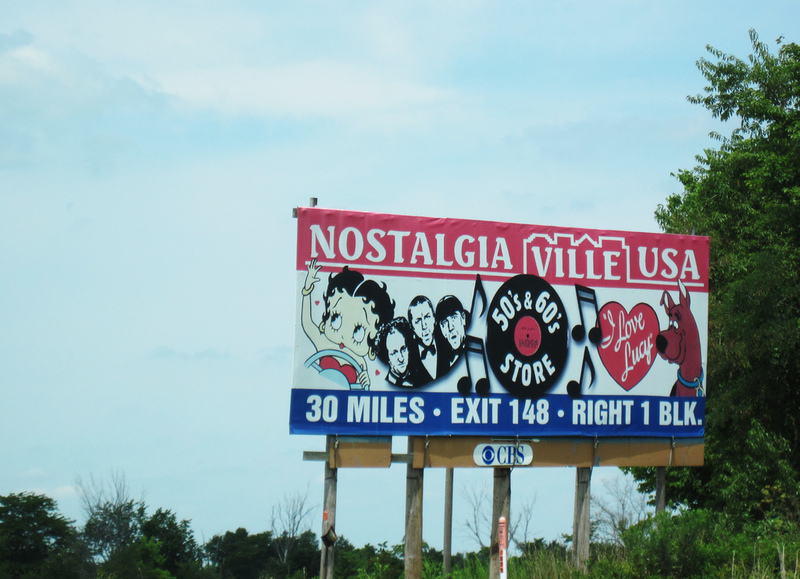 Nostalgiaville, LLC has been in business since 1982. We are a family-owned and operated business and our mission is to provide the best, fastest, and friendliest service possible. 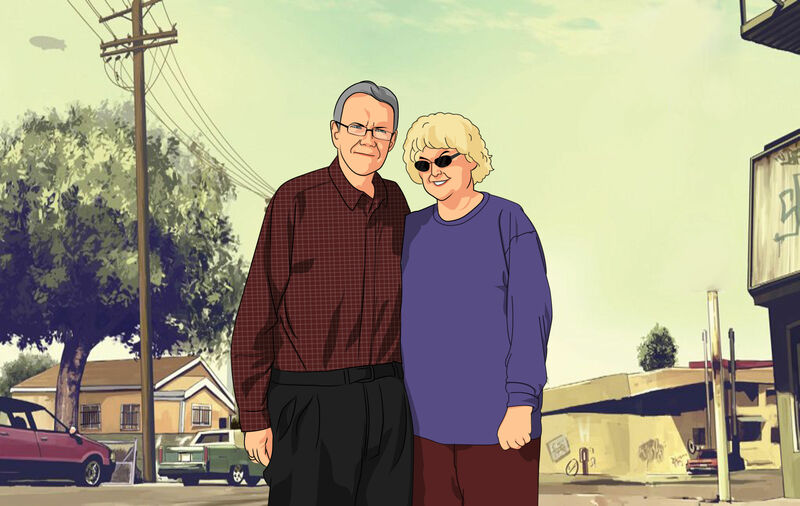 Ron and Judi Dunwoody served the needs of thousands and thousands of customers for 30+ years. During the 1980's and early 90's we had retail locations throughout the St. Louis, Missouri area and most recently along Interstate 70 in Kingdom City, Missouri where we operated what has been called "the Coolest Store in the Middle of Nowhere". In actuality we were alongside America's Premier Interstate Highway with over 30 billboard signs directing travelers to our location for 18 years. 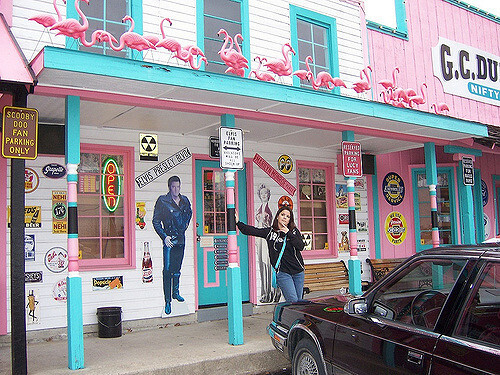 From 1995 through 2013 we served tourists from all over the USA and around the world at our "One of a Kind" pink and turquoise storefront. 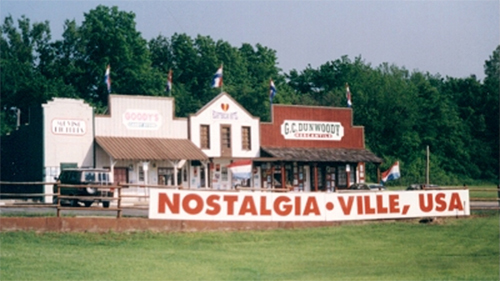 In 1997 we created an online store by opening www.nostalgicstuffusa.com. For several years it was merely an enhancement to our brick and mortar location but gradually it began to take on a life of its' own as more and more folks visited our store and then continued to do business online with us, as their future vacation plans took them to different locations which did not include a road trip through Mid-Missouri. Over the years, the growth of our web store began to dwarf the growth of our traditional store to the point that in December, 2013, after much consideration, we made the business decision to close our store and devote our full attention to our web business. We knew that we would continue to serve many of the friends we had made along the Interstate, and now look forward to making new friends online due to the extra effort we can put into our online presence. We will strive to provide you with the service and attention to detail that was a hallmark of the "face to face" operation since 1982. One of our claims to good customer service is our "personal touch" in the packaging and the care we take in getting your merchandise to you. We strive for customer satisfaction in every area of our operation. Nostalgiavilleusa.com is very proud of our staff and we boast a friendly voice and great personal service when you contact us. We make every effort to answer any questions you may have and help you in any way we can. Our email address is sales@nostalgicstuffusa.com. We will email you back within 24 hours. We look forward to serving you!